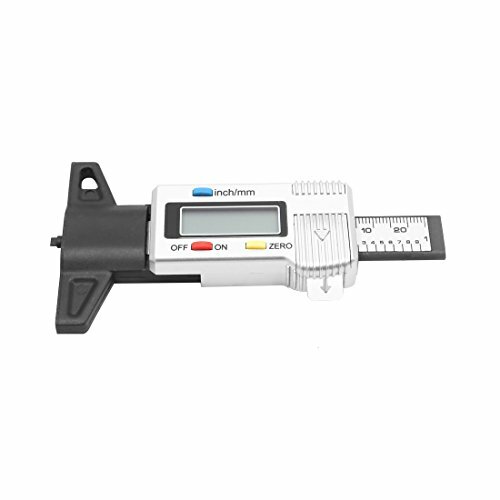 This tire depth tread gauge can measure 0-25.4mm depth of tread depth, brake shoe and pad wear with a digital LCD display to show you the data. Large LCD display. Clear and durable. Metric / Inch system interchange. Manual power on / off. Digital automatic display. There is scale on the stretch pole. Suitable for tread depth, brake shoe and pad wear.